Kate grew up immersed in music. Nurtured by a musical family, excellent public schools, and mentors in her community, her passion for music began early. Kate explored a variety of instruments as a child and drew early inspiration from the vibrant live music scene of Western Massachusetts. She discovered her passion for jazz at a Sonny Rollins concert in 1997 and found her voice on saxophone less than a year later. Kate earned her Bachelor of Arts at Pomona College, majoring in American Studies and minoring in Music. She explored music not just as a performer, but also as a historian and anthropologist. Pomona awarded her funding to research jazz and R&B in post-World War II Los Angeles, a project that provided the foundation for her thesis on the Pan Afrikan People’s Arkestra. Throughout college, Kate continued her studies of music theory, piano, voice, and participated in a number of musical ensembles, including the college's choir and the jazz ensemble. She studied improvisation with trumpeter/cornetist Bobby Bradford at Pomona and with saxophonist Adam Kolker in her hometown of Amherst, MA. In 2012, Kate moved to Maine and became an integral part of the Greater Portland music scene, playing 150-200 gigs per year as a founding member of local bands Downeast Soul Coalition, The Hello Josephines, and Bess Jacques & The Strays and as a freelancer with dozens of other projects. 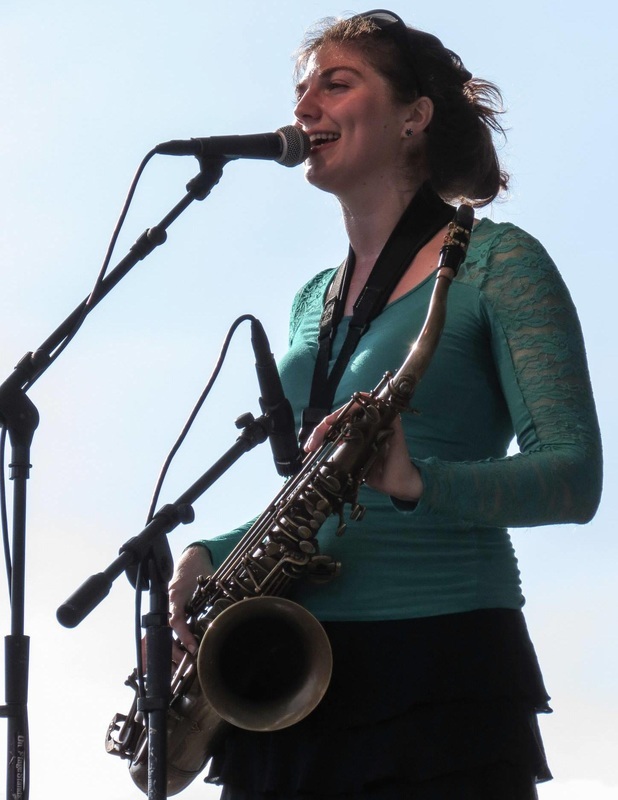 After seven wonderful years in Maine, Kate's musical journey continues in her new hometown of New Orleans, where she is a graduate student at the University of New Orleans' Jazz Studies Master of Music Program. Contact Kate to learn about her performance schedule.